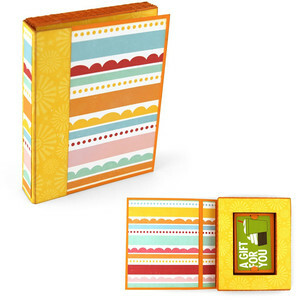 This is a super fun project featuring accordion folded edges that make a faux book. The center of the book is just the right size for the included gift card holder to sit inside. For a tutorial, visit http://www.loriwhitlock.com/blog/tutorials.